A terrible taste? Not to this bird! 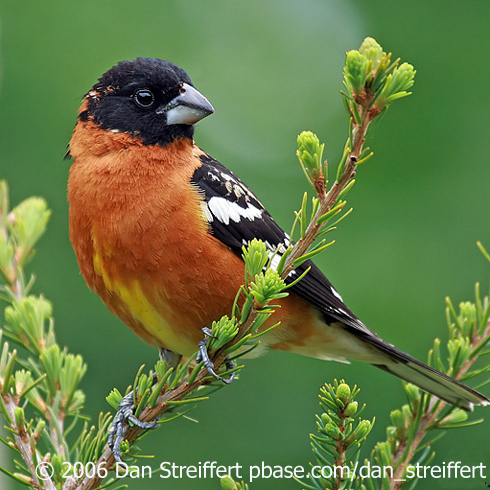 Black-headed Grosbeaks are one of very few birds that regularly eat Monarch butterflies. Most birds and other animals find the butterflies unpalatable, if not downright toxic. The caterpillars of Monarchs consume milkweeds that contain toxic substances known as cardenolides. The poison is stored in the adult butterfly's abdomen, giving it a powerful form of defense. The survey has now ended. Thanks! Today’s show is brought to you by White Flower Farm, a family-owned mail order nursery offering a wide range of perennials, annuals, and shrubs for early summer planting. 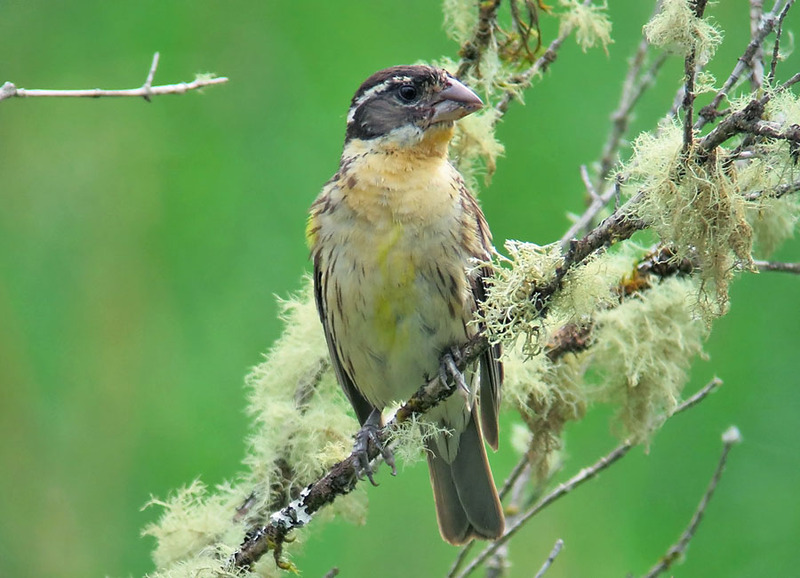 Black-headed Grosbeaks are one of very few birds that regularly eat Monarch butterflies, which most birds and other animals find unpalatable, if not downright toxic. The caterpillars of Monarch butterflies consume milkweeds containing toxic substances known as cardenolides (pronounced kar-DEN-oh-lydz). The poison is stored in the adult butterfly’s abdomen, giving it a powerful form of defense. Many Black-headed Grosbeaks winter in the same areas of central Mexico as millions of Monarchs. The birds consume a great number of Monarchs through the winter, including their toxin-laden abdomens. One other bird in the area, the Black-backed Oriole, also preys on the butterflies, but studiously avoids the tainted abdomen. So perhaps what other birds find toxic is just the tonic the grosbeak needs to put that jazzy feel in its song. Is BirdNote making a difference in your life? We’d like to hear your thoughts about the show. Take a quick survey and download our new ringtone at birdnote.org. Thanks! I’m Mary McCann. Song of the Black-headed Grosbeak 126546 provided by The Macaulay Library at the Cornell Lab of Ornithology, Ithaca, New York. Recorded by T.G. Sander. Key source: Journey North website, 2004 article contributed by Bill Calvert.